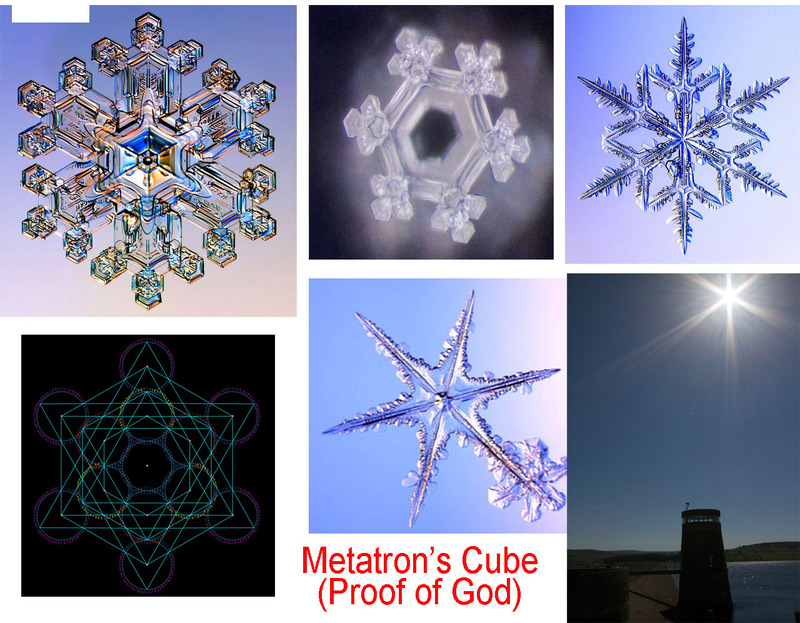 In Sacred Geometry there is probably only one symbol more Sacred than the Seed of Life and that is Metatron’s Cube. See image below. 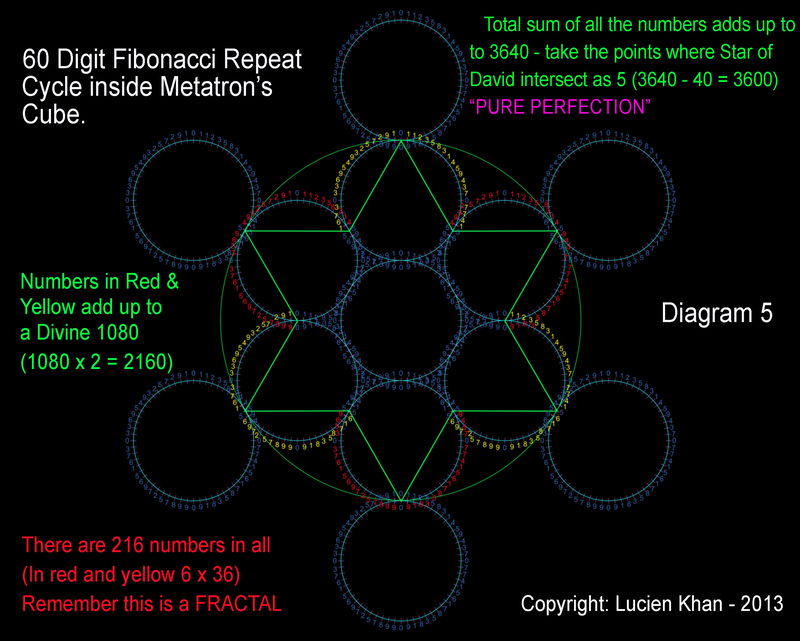 When we take the 60 Digit Cipher and enter it as a key into Metatron’s Cube, the mathematics is simply mind-blowing. This symbol now creates a flowering pattern of 216 numbers. The sum of all the numbers add up to 3640 but if you subtract the points where the Star of David intersects or touch you get a perfect 3600. The “Star of David” is the symbol for God. But it is also a hexagon. This hexagonal pattern permeates all of nature. See the images below. Any spheres tightly packed will naturally adopt this pattern. See the marbles in the image below. You can test this by dumping a set of marbles into a tin. You could argue that this pattern is simply natural. 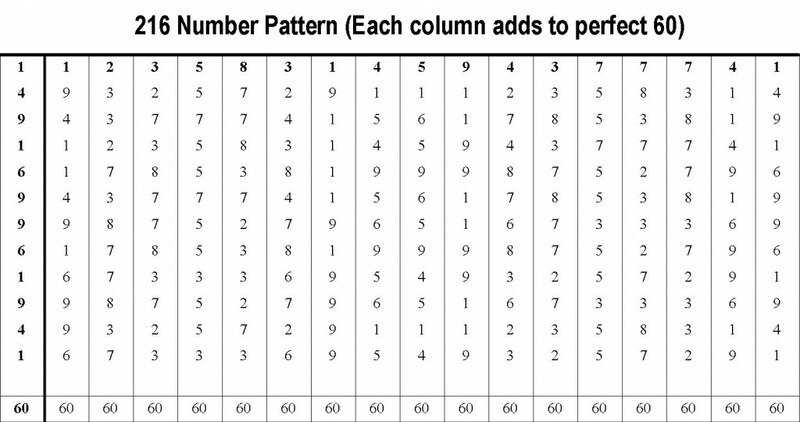 What you cannot say is that this pattern hides a 216 Digit matrix by coincidence and that some people in the Ancient world believed God’s Hidden name has 216 letters by random chance or that 60 x 360 = 21600 by coincidence and that the diameter of our moon is 2160 miles by luck. This discovery puts an end to the idea that everything is random chaos. All our ancient units of measure have greater meaning. Any Cube will have 360 degrees of Angle. 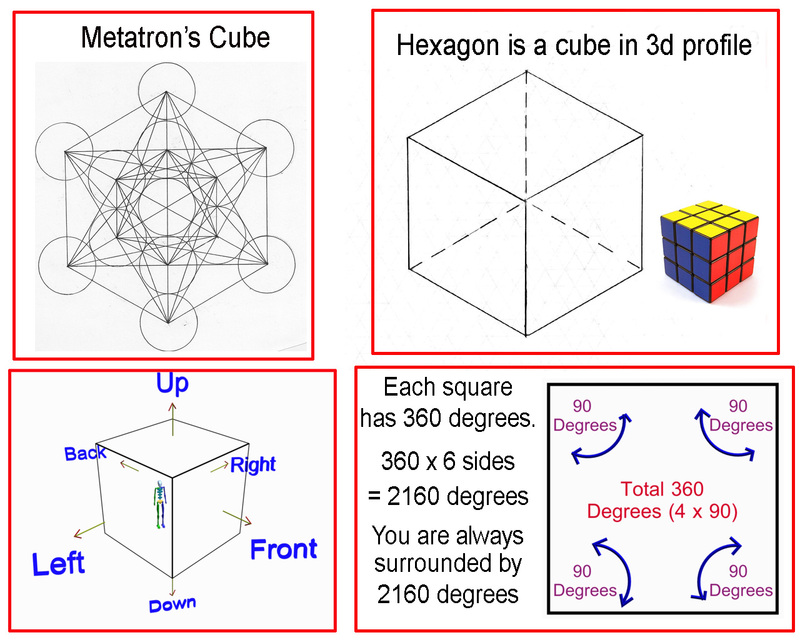 Here is a YouTube video on Metatron’s Cube. 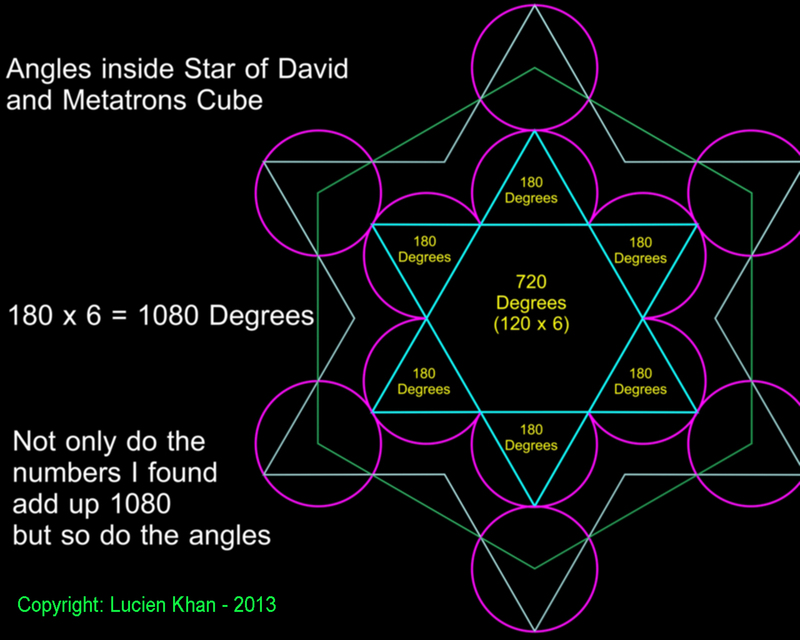 Take a look at the geometric angles in Metatron’s Cube. Circles are the Fabric of the Universe. They form all the Sacred Geometric patterns. 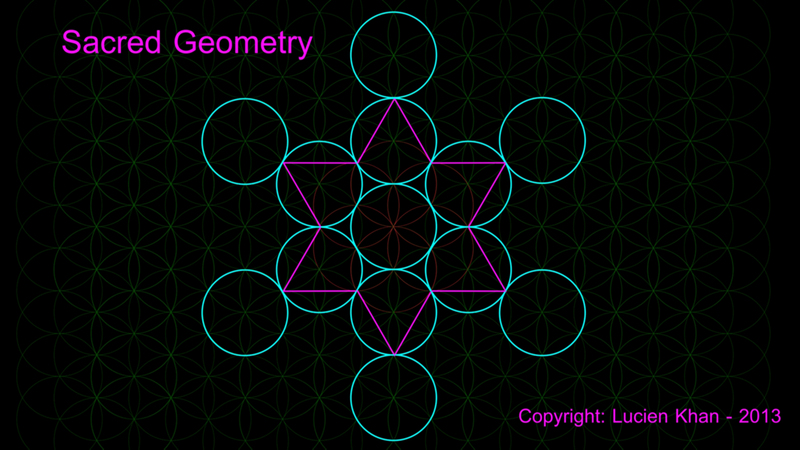 You must imagine all of those circles as circles of 60 numbers radiating as waves of LIGHT. The entire universe is made up of numbers or “information” coded into those patterns of numbers. The universe is a MATRIX of information stored in the waves or circles of LIGHT. Our conscious minds take that information and create a simulation of the universe we see. When I take the 216 numbers in Metatron’s Cube and place them in a table or MATRIX of 12 rows and 18 columns, each column adds up to a perfect 60. See image below. The total sum of all those numbers is 1080. 1080 x 2 = 2160. Once again. This is mathematical perfection. This Matrix is God’s secret or Hidden 216 Letter Name. In the Ancient World people would use numbers as letters in a practice known as Gematria. In order to speak this Hidden Name out loud we need to share it. Thank you for visiting this site. Please help me by sharing this page so that we can get the academic world to study all of this. This discovery may hold all the secrets to time. And please purchase a copy of my book to help support my own efforts to keep studying all of this.